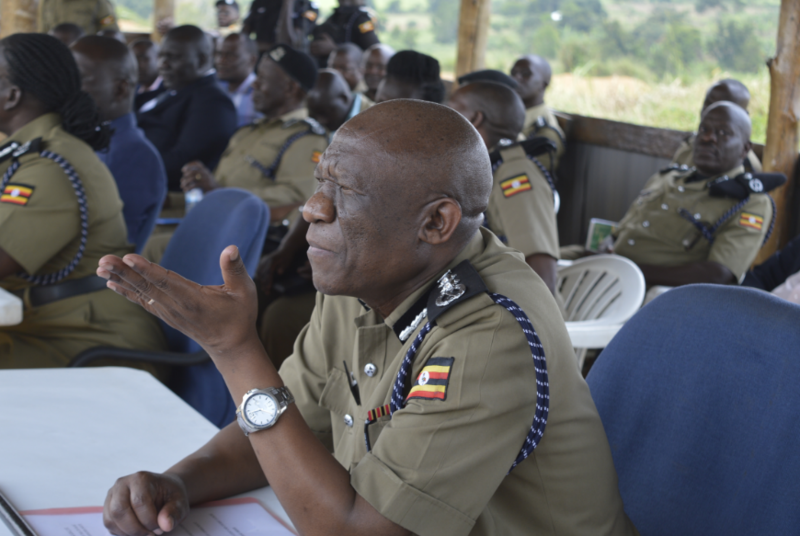 MASINDI – In an effort to rebuild and strengthen the Criminal Investigation Directorate (CID) 337 Scenes of Crime and Criminal Investigations Officers completed a two months induction course at Police Training School, Kabalye, Masindi. The function was presided over by the Inspector General of Police, John Martins Okoth Ochola who cautioned Police Officers against any forms of corruption and torture of suspects. “It’s you and I to rebuild the image of the Force, we have a task to rebuild the image of the institution, every one of us has to wake up from the slumber so that we join hands and redirect the institution,” Mr Ochola said during the closing ceremony. He also said that any officer who tortures someone shall be charged as an individual in criminal courts of law. Ochola reminded the officers to always be accountable to the public. “As Police Officers, we are supposed to be accountable to the public it’s not vice versa so whatever you do must produce results,” he said. Ochola, however, pledged full support to rebuild and strengthen the criminal investigation directorate by ensuring availability of resources and capacity building programs. The IGP lectured the students on strategic guidance on professionalism in investigations and effective management of case files.